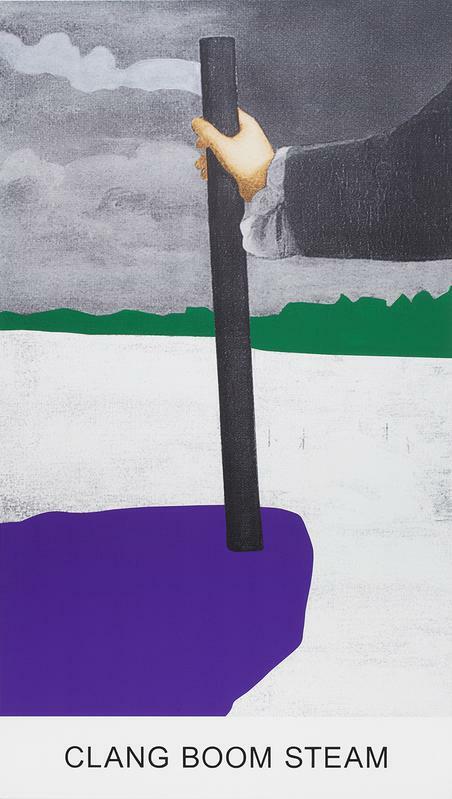 John Baldessari. 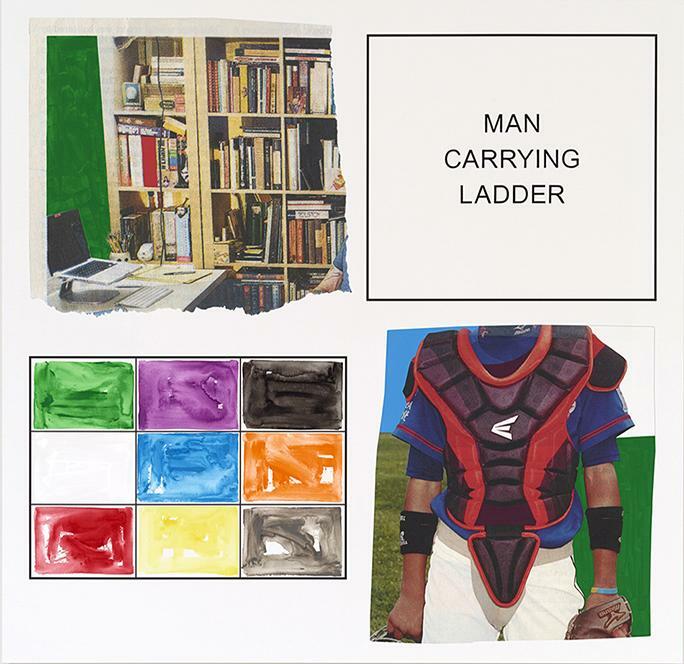 Storyboard (In 4 Parts): Man Carrying Ladder, 2013. Varnished inkjet print on canvas with acrylic and oil paint, 191.8 x 196.9 cm. Courtesy Marian Goodman Gallery, New York. 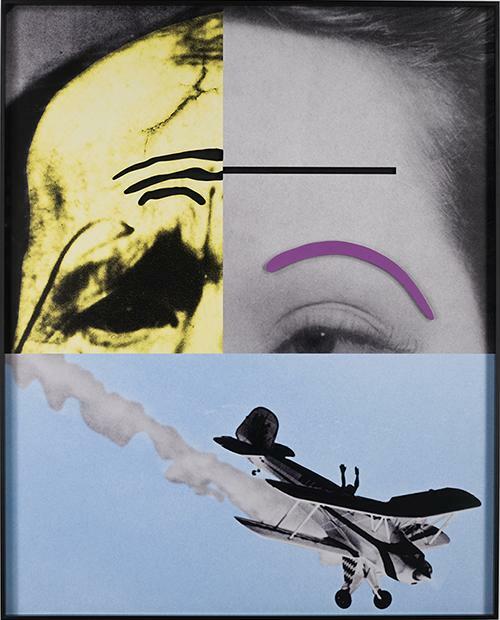 John Baldessari. Raised Eyebrows/ Furrowed Foreheads: Airplane Falling, 2008. Three dimensional archival print laminated with lexan and mounted on Sintra with acrylic paint, 183.5 x 147.6 x 10.1 cm. Courtesy Marian Goodman Gallery, New York. John Baldessari. 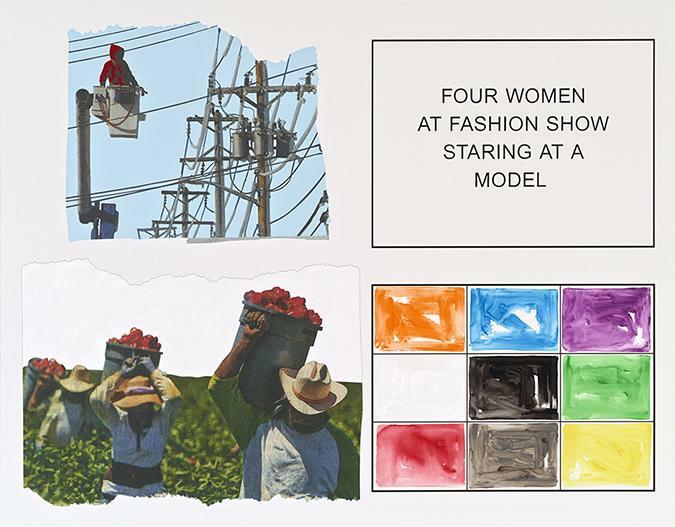 Storyboard (In 4 Parts): Four Woman At Fashion Show Staring At A Model, 2013. Varnished inkjet print on canvas with acrylic and oil paint, 193 x 246.7 cm. Courtesy Marian Goodman Gallery, New York. John Baldessari. Double Play: Clang Boom Steam, 2012. Varnished inkjet print on canvas with acrylic and oil paint, 268 x 152.1 cm. Courtesy Marian Goodman Gallery, New York.